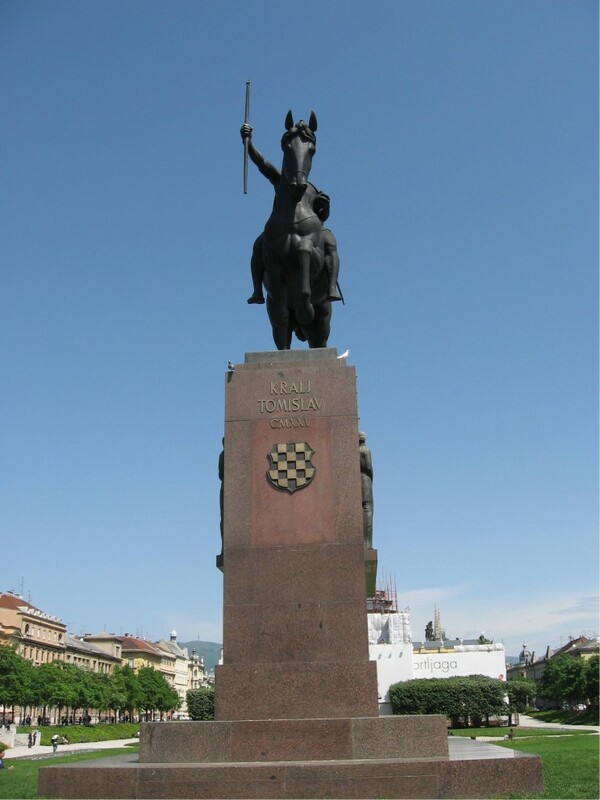 Kralj (King) Tomislav Monument, this is the statue of first Croatian King, Tomislav. In fact some historians disagree that he was a real king, they say that he was only a Duke, but for us he was our first king. 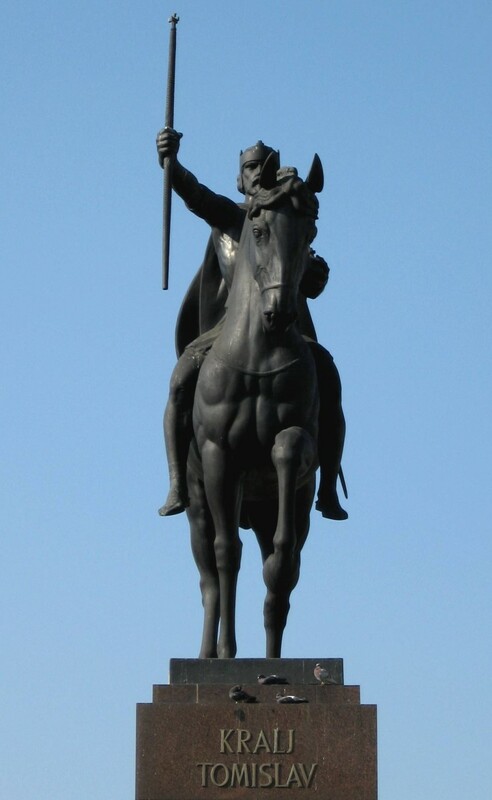 According to the sources he ruled from 910 to 928 AD being crowned in 925 AD. He was a historical person without doubt (he was mentioned also in foreign sources) and was a ruler of international importance. The monument was cast in bronze 1933, the base was made in 1941, but the monument was finally put in place 1947. 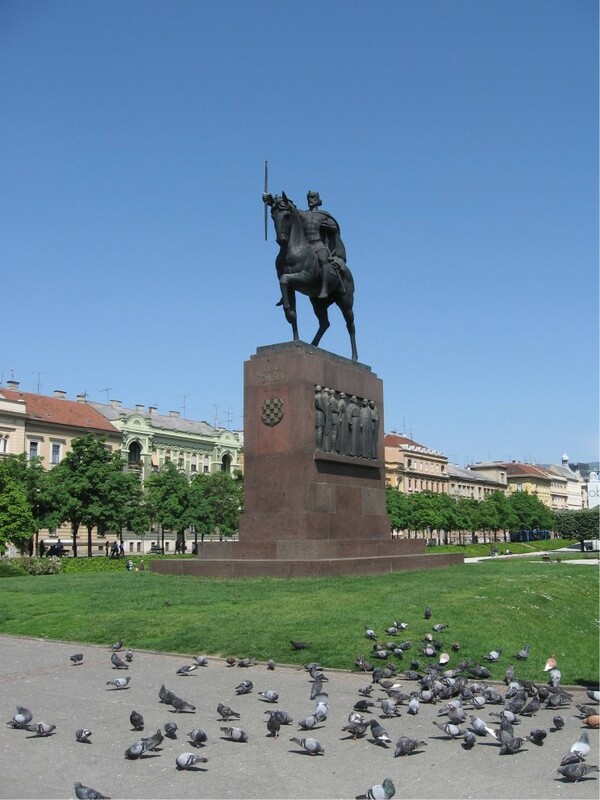 It is situated in central part of Zagreb, looking at the Main railway station and everybody who exits from the railway station finds himself face to face with the King. 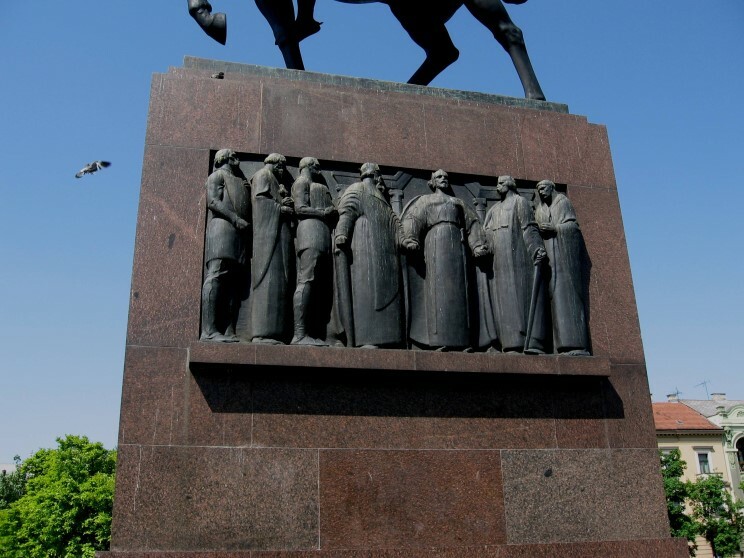 The relief on the side of the base is called "Tomislav reconciles Bulgarian King Peter with the Serbian Duke Zachary". 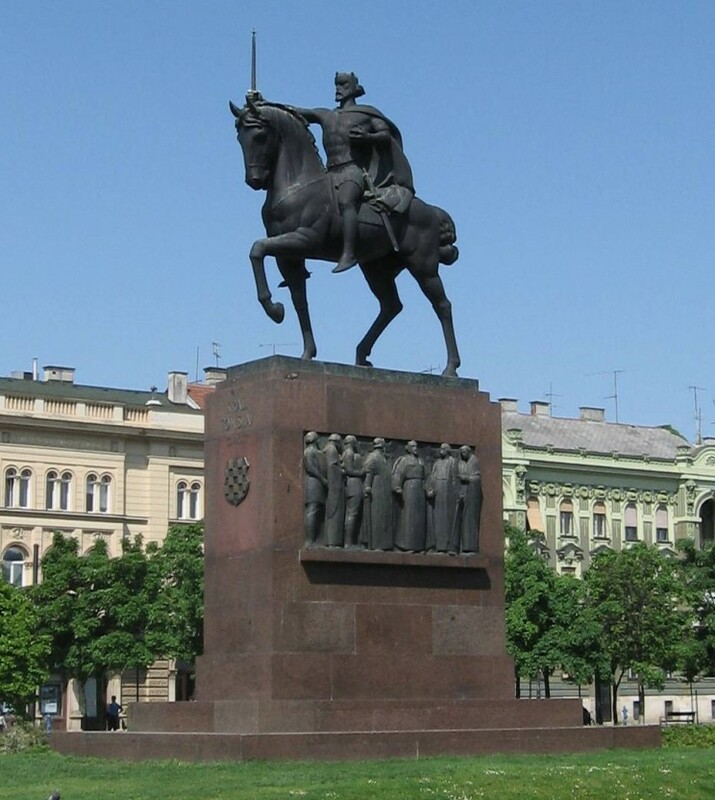 Close-up of the statue of Kralj Tomislav. Close-up of the relief "Tomislav reconciles Bulgarian King Peter with the Serbian Duke Zachary"